Cet article, par une approche biographique, explore les facteurs politiques liés à la région et à l’identité à Sulawesi Nord, plus spécialement au Minahasa, durant les décennies du milieu du xxe siècle. Examinant le parcours de trois hommes politiques clés de cette période, G.S.S.J. Ratulangie, A.E. Kawilarang et A.Z.R. Wenas, il met en lumière des continuités caractéristiques dans la vie politique minahasa depuis la fin de l’époque coloniale, à travers les bouleversements apparemment radicaux de l’occupation japonaise, de la décolonisation et de la rébellion du Permesta. Il révèle aussi des continuités persistantes du Minahasa du milieu du xxe siècle à celui d’aujourd’hui. L’une concerne la ferme aspiration chez les Minahasa à une autonomie régionale au sein d’une nation indonésienne. Une autre concerne un certain type de conservatisme politique, fondé sur le pragmatisme et la moralité plutôt que sur la coutume et le préjugé, qui nourrit et restreint à la fois la recherche d’intérêts régionaux. This paper employs a biographical approach to explore the politics of region and identity in North Sulawesi—more specifically, Minahasa—during the middle decades of the twentieth century. A brief examination of the lives of three key political actors of this period, G.S.S.J. Ratulangie, A.E. Kawilarang, and A.Z.R. Wenas, serves to illuminate characteristic continuities in Minahasan political life from the late colonial times through the apparently radical changes of the Japanese occupation, the decolonization process, and the Permesta rebellion. It also reveals persisting continuities between Minahasa in the mid-twentieth century and Minahasa today. One such continuity lies in the steady aspiration among Minahasans for regional autonomy within an Indonesian national state. Another constant factor is a particular kind of political conservatism, based on pragmatism and morality, rather than custom and prejudice, which both informs and restrains the pursuit of regional interests. Minahasa, histoire, régionalisme, autonomie régionale, biographie politique. Permesta and Minahasa: The Shape of Things to Come? This article is based on a paper prepared for a Royal Netherlands Academy of Sciences (KNAW) symposium on “Indonesia in Transition: Crises, Conflicts, Continuities,” held in Amsterdam on August 25-27, 2004. 1The administrative and political decentralization of the post-New Order years has given new salience, and new political importance, to regionalism and regional identities in Indonesia. But the present is not the first time that regional issues have been in the forefront of Indonesian political life. This paper explores the politics of region and identity in North Sulawesi, more specifically Minahasa, during the middle decades of the twentieth century, from the rigorous order of the late colonial period to the tumultuous times of the Permesta regional rebellion (1958-1961). In doing so, it highlights continuities in Minahasan political life through the apparently radical changes of that period spanning revolution and independence, and also between Minahasa in the mid-twentieth century and Minahasa today. One such continuity lies in the insistence of Minahasans on the unity and autonomy of the Minahasan people within an Indonesian national state. Another constant factor is a pronounced political conservatism, but a conservatism of a modern rather than a traditional kind, in which morality and pragmatism, more than custom and prejudice, both inform and restrain the pursuit of regional interests. 2The article1 is organized as follows. The first section provides a general background to the political history of Minahasa in its Indonesian context. The three central sections use concise biographical sketches as historiographic instruments, focusing in turn on the lives and the political thinking of three key Minahasan figures of the mid-twentieth century. The first of the three is G.S.S.J. Ratulangie, founder of the nationalist political party Persatuan Minahasa in 1927, first governor of Sulawesi for the Indonesian Republic in 1945, and posthumous Indonesian national hero. The second is A.E. Kawilarang, an officer in the Indonesian national army and the most important single Permesta leader. The third is A.Z.R. Wenas, leader of the Minahasan Protestant Church from 1942 onward and a key player in the peace negotiations that led to the surrender of the Permesta rebels in 1961. A concluding section examines the continuities with more recent times. It argues that Minahasa’s unique historical experience stands it in unusually good stead to face today’s challenges of democracy and decentralization, and expresses the hope that Minahasa will in some ways prove an example for other regions to follow. 4An obvious contrast between Minahasa and the Philippines, on the other hand, was that whereas Christian Filipinos constituted a large demographic majority in their colony, an accident of political geography made Minahasa a part of a colonial state in which the “Moros,” so to speak, made up almost 90 percent of the population. By the end of the colonial period, Minahasans’ answer to the dilemma posed by Indonesian nationalism was in most cases to embrace it, but usually in a federal variant that insisted on the political autonomy of Minahasa and the other regional bangsa (nations, nationalities) within the framework of a decentralized Indonesian state. Persatuan Minahasa, the most important Minahasan political party, argued consistently for the creation of an independent federal Indonesia. Founded in 1927, Persatuan Minahasa dominated the Minahasaraad in the 1930s and was also active in Batavia and among the Minahasan diaspora of white-collar workers and soldiers elsewhere in Indonesia. Its strongly federalist standpoint, however, was not widely shared outside its Minahasan constituency. 5As in other parts of Indonesia, the Japanese occupation of Minahasa gave violent impetus to the idea of a unitary Indonesian nation. Occupation policy featured intensive anti-Western propaganda, paramilitary conditioning for the young, and selective cooptation of prewar radicals as leaders and advisers of various kinds. By the time of the Japanese surrender, the few veteran unitarian nationalists in Minahasa led a substantial body of revolutionary youths who saw themselves as the local vanguard of the Indonesian national cause. At the same time, they faced bitter hostility from compatriots who saw them as unprincipled collaborators, and the returning Dutch as agents of deliverance. This polarization left little room for Minahasa as an independent category. For Minahasans who decided to ride the tide of revolution, the indivisibility of Indonesia became an obligatory shibboleth whether they believed it or not. Those who preferred an accelerated version of the old decentralized detutelization process, on the other hand, found themselves depending upon a Dutch-sponsored federal plan which was widely interpreted as an attempt to restore colonial power. 6The first attempts to mobilize Minahasan loyalties as such after the occupation were made by reactionary forces. In March 1946, a new political party called Twapro—from Twaalfde Provincie, the Twelfth Province—was formed to campaign for the literal integration of Minahasa into the Dutch state. Twapro quickly built up a large following among retired soldiers, government employees, and victims of the Japanese terror. Among the Minahasan diaspora, the polarization was even more complete, but Indonesia benefited more than the Dutch. For many of those caught in Java during the revolution, participation in it became a matter of life or death. The Minahasan militia group KRIS (Kebaktian Rakyat Indonesia Sulawesi, Devotion of the Indonesian People of Sulawesi), one of the most effective republican military organizations, originated partly as a response to the excesses of revolutionaries who regarded all Minahasans as pro-Dutch. KRIS waged what its founder describes as a “battle on two fronts,” on the one hand, against the colonial forces and, on the other, against “mistaken views within the community” (Indonesia merdeka 1977: 10). Minahasans of all former political views were inducted into the Indonesian revolution on the republican side under the auspices of KRIS. 7For opponents of the Republic in the regions, the choice was ultimately between integration and a unilateral declaration of independence. In Ambon, there were those, mainly among the military, who were prepared to choose the separatist option and offer bloody resistance to Indonesia without real hope of external support. In Minahasa, colonial army units ultimately played an opposite role by mutinying against their Dutch officers and declaring themselves part of the Republican army a few days before the arrival of a central government expeditionary force in May 1950. Contemporary Dutch observers attributed this contrast to the Minahasans’ greater sense of pragmatism (Groen 1979: 90). But it also reflected the fact that, whereas separatism in Ambon was about betrayed loyalty to the Dutch crown, Minahasan regionalism stressed loyalty to Minahasa itself, which under the new circumstances meant reaching a prudent accommodation with the victors of the revolution. 8If Minahasa was definitively incorporated into Indonesia in the years 1945-1950, its political significance was far from over. The 1950s saw relations with Jakarta strained by a central government monopoly over the purchase and marketing of copra, since the beginning of the twentieth century the mainstay of the Minahasan economy, and by exchange rate policies that favored Javanese consumers over Outer Island exporters. At the end of 1956, the official Copra Foundation, which had always paid Minahasan coconut farmers far less for their copra than they could earn from smugglers, ran out of cash and started issuing promissory notes in lieu of payment (Leirissa 1991: 288). The underfunded local government, meanwhile, was unable to maintain the extensive but crumbling transport system and other infrastructure. In 1957, mounting popular discontent in Minahasa intersected with a broader movement for regional autonomy called Permesta (from Perjuangan Semesta or “Inclusive Struggle”), sponsored by a coalition of eastern Indonesian soldiers and politicians in Makassar. Besides their specific grievances over economic policy, many of those involved were also concerned about the general radicalization of Jakarta politics under the influence of the Indonesian Communist Party (PKI). Too much attention, they felt, was being given to the redistribution rather than the generation of wealth, and to ideological rather than practical issues. In February 1958, Permesta became linked with the Revolutionary Government of the Republic of Indonesia (PRRI), an aspiring national counter-government established in West Sumatra by politicians with similar concerns. This attempt by the Outer Islands to take matters into their own hands, however, elicited a firmer response from Sukarno than most had anticipated. When Jakarta went to war against Permesta, Minahasans were the only group to offer serious resistance, and the rebellion quickly became a purely Minahasan affair. 9That resistance was so tenacious that, even after the fall of Manado to central government forces, fighting continued in the hinterland for three more years. Permesta, even in its Minahasan phase, was led by men who had been in the forefront of the Indonesian national revolution, and they proclaimed to the end that their goal was another type of Indonesia, not the disintegration of Indonesia. The “Permesta Charter” with which the movement was launched in March 1957 opened with the words: “We as Indonesian patriots [...]”, and stressed the importance of “assuring leaders of all strata of society that we are not separating ourselves from the Republic.” Nor did it make any mention of federalism. It did, however, insist that the provinces of eastern Indonesia “must immediately be given the widest possible autonomy,” condemn “centralism” as “the basic cause of bureaucratism, corruption, and stagnation in regional development,” and call for the appointment to leadership positions of people “devoted to the region” (Harvey 1977: 164-166). Although Minahasans fought on both sides in the ensuing conflict, for many of the rebels – the rank and file perhaps even more than their leaders – loyalty to Minahasa remained the key issue (Lundström-Burghoorn 1981: 44; Tobing 1988: 52). “In this region,” boasted one Permesta military commander, “even the grass is Permesta” (Matindas & Supit 1998: 314). 10Gerungan Saul Samuel Jacob Ratulangie (1890-1949), the most widely known of all Minahasans, was born in Tondano, on the central plateau (see Fig. 1). Both his parents came from chiefly families. His father, a teacher at the Tondano Hoofdenschool, a school for the sons of chiefs from all parts of North Sulawesi, had trained for two years in the Netherlands. Ratulangie himself went to Holland in 1912 to study education at the University of Amsterdam, becoming president of the Indische Vereeniging (Indies Association) in the Netherlands and earning extra money as a journalist. Later, he took courses in physics, mathematics, and psychology at Zürich University in Switzerland. In 1918, he married medical student Suzanna Houtman, a European from a moneyed colonial family in Java, although they were later to divorce. In 1919, he returned to Indonesia, teaching mathematics in Yogyakarta and co-founding an “Indonesia Insurance Company” in Bandung before moving to Manado in 1923 to become secretary of the Minahasaraad, an institution that he described as “an absolute success” (quoted in Herziening 1929: 883). In 1927, the Minahasaraad elected him to the central Volksraad (People’s Council) in Batavia. At the same time he and a prominent Minahasan doctor, R. Tumbelaka, founded the political party Persatuan Minahasa. In 1937, he was expelled from the Volksraad, officially for an act of petty corruption involving travel expenses, although many felt that his removal was politically motivated. For the next five years, he earned his living in Batavia as editor of a Dutch-language nationalist periodical, Nationale Commentaren. Source: Indonesia Merdeka 1977: 112. 11After the Japanese invasion, Ratulangie was employed by the government of occupation in advisory positions and as a journalist on the propaganda daily Asia Raya. In 1944 he was posted to Makassar as an advisor to the Japanese naval administration that controlled eastern Indonesia, including Minahasa. In August 1945, he took part in Japanese-sponsored preparations for independence in Jakarta, playing an important role in preventing Islam from being accorded a special status in the Indonesian constitution, and returned to Makassar as governor of Sulawesi for the Republic of Indonesia. Tolerated and to some extent cooperated with by the Australian military forces that arrived in Sulawesi in September, he was arrested, after their departure in February 1946, by the restored Dutch administration and exiled to New Guinea. In 1948, the government of the Dutch-sponsored federal State of Eastern Indonesia (NIT) requested his release, and he was permitted to go to Java, where he was welcomed by Sukarno and spent some months as an advisor to the Republican delegation negotiating with the Dutch. He died of a heart attack in Jakarta in June 1949, and was buried in Tondano. In 1958, Sukarno named him an official National Hero—no doubt partly with the Permesta revolt, then at its height, in mind. 12Although Ratulangie was an active nationalist throughout his adult life, in many of his attitudes he always remained a conservative. “We do not hate the Dutch,” he wrote as governor of Sulawesi in an open letter to friends in Minahasa at the height of the Indonesian revolution in December 1945: “They can remain here, they will become rich here undisturbed, but we must have all diplomatic power and the power of government, because this is our country” (Leirissa 1997: 178). His forays into fascist thinking (Van Klinken 2003: 95-111, 222-223) probably should not be taken too seriously: Ratulangie was a genuine intellectual who could become excited by the power of ideas without losing his ability to doubt them, and this made for inconsistencies in his thought and behavior. But at least during the colonial period, he was consistently less radical in his aspirations than many other nationalists. In 1928, for instance, he refused—to the annoyance of many, both outside and inside the party—to take Persatuan Minahasa into Sukarno’s Consultative Union of Indonesian Nationalist Political Organizations (PPPKI), partly on the grounds that Indonesia was “not yet ready” to receive independence because it still possessed too few “educated people capable of taking the reins of government” (Ratulangie quoted in Fikiran, 23 June 1928). Instead, Ratulangie became one of the prime movers behind the Soetardjo Petition of 1936, which reflected his belief that politics should be done “constitutionally and rationally” (Van Klinken 2003: 106) by calling (albeit without any success) for a planned transition to independence for Indonesia within ten years. 13Closely linked with Ratulangie’s conservatism was his pragmatism. During the colonial years, his moderation was informed partly by a pragmatic appreciation of what was politically feasible, and what was not. His later decision to take sides with the Republic had to do partly with the way his equally pragmatic cooperation with the Japanese had already compromised him in Dutch eyes, and also had the character of a rational gamble. In his political statement of December 1945, he reminded his audience, with justifiable pride, that he had correctly predicted both the Second World War and its outcome some years before it began. Then he went on to offer them a new, equally bold, and equally accurate prediction: “that given the international situation, Indonesia will emerge from this struggle as a free nation, and it will do so within a very short time” (Leirissa 1997: 179). 14At an intellectual level, consistently enough, Ratulangie was strongly influenced by the philosophical pragmatism of American philosopher William James, who advocated an instrumental view of truth as “the expedient in the way of our thinking” and right as “the expedient in the way of our behaving” (Van Klinken 2003: 95-96). Ratulangie’s unsentimental, sometimes amoral world-view reflected his scientific training, but perhaps also expectations inherited from Minahasa’s pagan past regarding the material efficacy of knowledge. Although influenced by Christianity, Ratulangie was not a practicing Christian. 15On one issue, however, Ratulangie was prepared to take an ideological stand: the importance of a federal political system to safeguard the identity and autonomy of Minahasa and Minahasans, and by extension other regions and ethnic groups, in the future Indonesian state. Even Van Klinken (2003: 105, 236), who characterizes Ratulangie’s approach to politics in general as one of “cynical pragmatism,” concedes that it was “not easy to sell a concept of federalism” to nationalists inspired by Sukarno’s emphasis on Indonesian unity, and that Ratulangie “was sufficiently convinced of its correctness that he risked censure and tried to sell it anyway.” Otherwise rather notorious for the changeability of his opinions, on this point he seems in fact to have been fully consistent up to 1942. During the revolution, he was obliged to change his tune in public, at one point going so far as to declare himself and his family “no longer Minahasans, but Indonesians” (Leirissa 1997: 179). But Minahasans understood that this was a matter of strategy rather than sentiment. 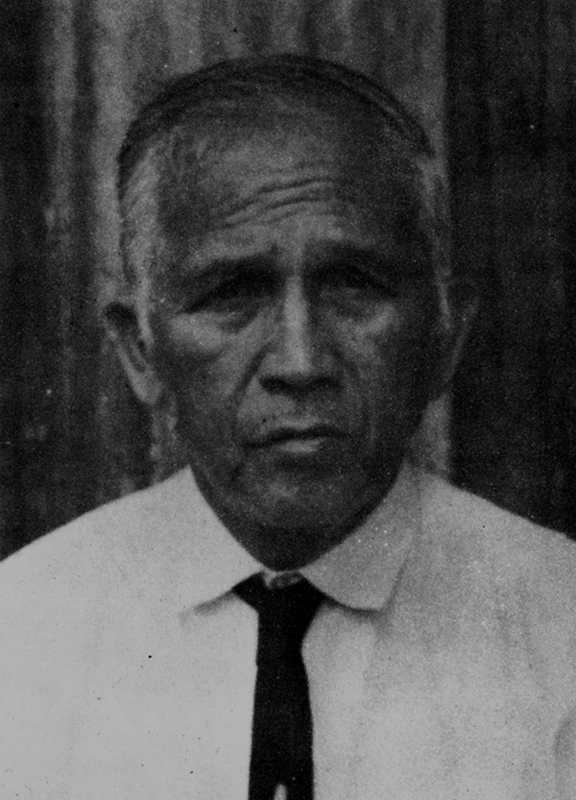 When his body was returned to Tondano after his death in 1949, former soldiers of the colonial army, as well as KRIS pemuda, lined the path of his bier, and posters hailed him as “the father of the whole Minahasan people” (Torar 1985: 110). 16At first sight, only privileged birth and Tondano descent would seem to link Ratulangie with our second prominent Minahasan, Alex Evert Kawilarang (1920-2000) (see Fig. 2). If Ratulangie represents the epitome of one way in which Minahasans of the colonial period sought to improve their situation, by taking advantage of opportunities to acquire Western education, Kawilarang symbolizes another: military service. His father was a major—an almost uniquely high rank for an Indonesian—in the colonial army, and spent most of his life serving outside Minahasa. Alex Kawilarang was born in Jatinegara, West Java, in 1920. He attended a Dutch-language secondary school before following his father into the colonial military, enrolling in 1940 at the newly established officer training college (KMA, Royal Military Academy) in Bandung. Although the KMA existed only for a short time before the Japanese invasion and admitted few Indonesians, several of these, including A.H. Nasution and T.B. Simatupang, as well as Kawilarang himself, were to make important contributions to the later national revolution as officers in the young Indonesian army. 17Although he knew about discrimination against Indonesians within the colonial military both from his father and from his own experience, he maintained good relations with his European comrades, saw “Netherlands India” as his own country (Rocher 1996: 75), and does not seem to have given any thought to Indonesian nationalism until 1943, when he was 23 (Ramadhan 1988: 20). His conversion to it had less to do with the Dutch than with the cruel way in which he and other Indonesians (but especially Minahasans) were treated by the Japanese during the occupation, and with the choices made in the same period by his peers. In 1945, like several of his KMA classmates, he joined the Republican armed forces in Yogyakarta. At the beginning of the revolution, he was closely associated with KRIS, a part of which came under his command (Warouw et al. 1999: 68). In 1950, he led the expeditionary force that established republican authority in Sulawesi and the Moluccas after the demise of the Dutch-sponsored State of Eastern Indonesia (NIT). He was senior army commander in West Java from 1951 to 1956, then military attaché to the Indonesian embassy in Washington. Soon after the outbreak of the regional revolt, he was contacted in the United States by Permesta representatives and decided to join the rebels, although he did not formally accept the position of commander-in-chief of all PRRI-Permesta military forces that they offered him. 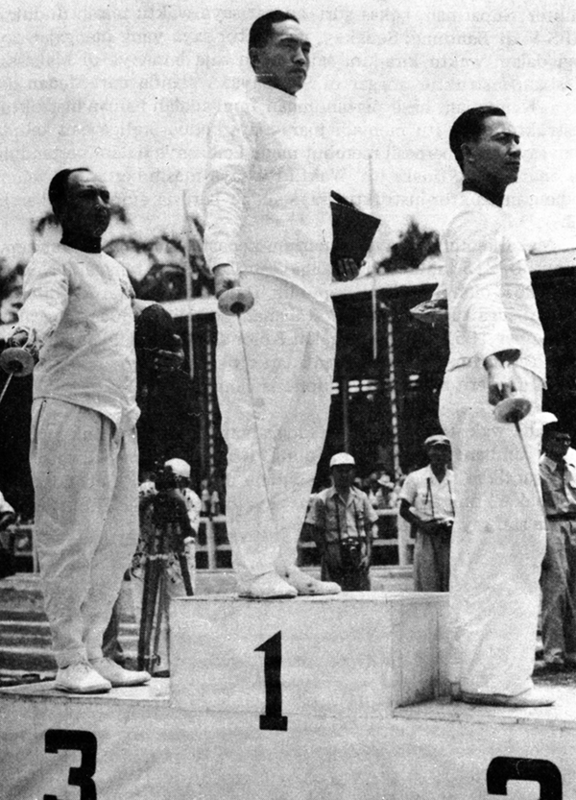 When he and the other two leading Permesta military figures, Ventje Sumual and Joop Warouw, addressed their supporters in Tomohon in March 1958, they were greeted with wild enthusiasm (Tobing 1988: 57). Kawilarang was the most senior Minahasan officer in the Indonesian army, and his participation was regarded in itself as a triumph of sorts for the movement. Although his practical role in the subsequent fighting was limited, among the rebel troops he continued to be referred to as Panglima Besar (Supreme Commander) and treated as the most respected Permesta leader (Sulu 1997: 137). 18Kawilarang was a principled and unpretentious man who did not stand on his dignity. During the fighting in Minahasa, he often dressed in shorts and rubber thong sandals rather than military uniform, and his morals were said to be unaffected by “the jungle rot [...] to which many succumbed in the situation of guerilla warfare” (Harvey 1977: 123). Even more than Ratulangie, nevertheless, he was a natural conservative, and it is with some understatement that Barbara Harvey (id.) describes him as “a rather unlikely rebel.” Although he took part in the struggle for Indonesian independence, this aristocratic fencing champion—whose first wife, like Ratulangie’s, was a European—loved order and feared the anarchy that independence threatened to bring with it. He despised those he called “parasites of revolution” (Ramadhan 1988: 62), opportunists and bandits who tried to take advantage of the troubled times, and regarded fighting such men as an important part of his patriotic duty even before independence had been won. Later, he personally directed the crushing of the separatist Republic of the South Moluccas (RMS) in Ambon and conducted a long, tough campaign in West Java against supporters of the Darul Islam movement, which aimed to make Indonesia an Islamic state. He remained friends with many Dutch army officers throughout the revolution and beyond. One important reason for his sympathy with Permesta was undoubtedly its opposition to communism, the advance of which in national politics during the 1950s filled Kawilarang, like many other senior army officers, with foreboding. 19To what extent he was also motivated by his specific attachment to Minahasa is not entirely clear. In his memoirs, he states only that “things had clearly gone too far now for the regions,” and that in abandoning his quiet and comfortable life in Washington for a dangerous and uncertain future, he was “following his heart” (Ramadhan 1988: 292). The initial plan was apparently that he should go to Sumatra, not Sulawesi, but by the time he reached Indonesia, the PRRI was already in such dire military straits that this was no long possible (Matindas & Supit 1998: 312-313). One indication that ethnic loyalty was nevertheless important here is the fact that, at an earlier turning point in his life, at the beginning of the revolution in 1945, he had instinctively gravitated toward the Minahasan KRIS leaders in Jakarta. “What did this mean?,” he later wondered. “Was I in search of my roots? Or was it just a natural thing for me to do? My heart told me to seek out this organization [...]” (Ramadhan 1988: 35). 20There is some indication that, during his involvement in Permesta as in the revolution, Kawilarang was concerned to reconcile Minahasan interests with those of the national government, and to prevent unnecessary loss of life, as well as to help secure a good political deal for Minahasans by military means. 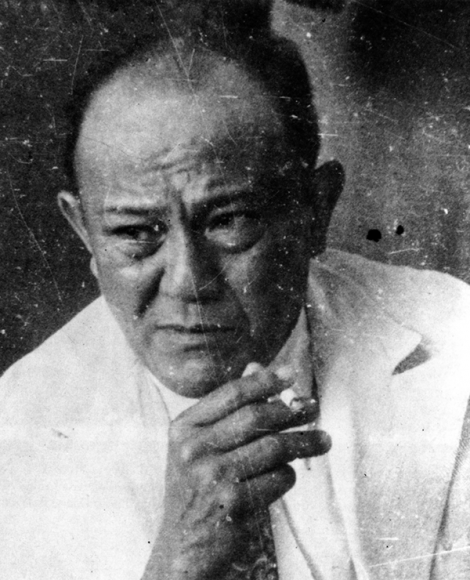 A fellow Permesta officer who had been with him on his earlier campaigns in Ambon and West Java, Dolf Runturambi, noted that, as rebel Panglima Besar in Minahasa, Kawilarang showed much less aggression and remained largely in the background, “only making visits here and there and then returning to his headquarters.” Some suspected him of being a central government spy. At one point, Sumual himself openly accused Kawilarang of treachery, initiating a spiral of distrust among the leaders of Permesta that would contribute heavily to its defeat. Runturambi himself did not go this far, describing Kawilarang’s behavior only as “pragmatic and rational” (Tobing 1988: 75, 148, 165). Nevertheless, it is striking that, alone among the TNI officers involved in the rebellion, Kawilarang, although suspended from the army, was not dishonorably discharged (Harvey 1977: 123). 21Albertus Zacharias Roentoerambi Wenas (1897-1967) was the son of the deputy head of a district in the south of Minahasa, Tombatu (see Fig. 3). When both of his parents died, he was adopted by the head of another district, that of Remboken, on Lake Tondano. He attended Dutch-language schools in Manado and Tondano before becoming the first Minahasan to be selected for training as a church minister. Leaving for Holland in 1915 to follow that training, he received his ordination from the academy of the Dutch Missionary Society (NZG) at Oegstgeest, near Leiden, in 1921. Apart from a period of medical treatment in Batavia, he was to spend the rest of his life in Minahasa. In 1928 he was made the director of the Society’s training school for native religious teachers and lay preachers, located in Tomohon. When the GMIM was inaugurated in 1934, he became vice-chairman of its synod, under a Dutch superior. With the arrival of the Japanese, at the beginning of 1942, and the internment of the Dutch, he took over the leadership of the GMIM himself. He was to hold it, by virtue of repeated re-election by the synod, for most of the next 25 tumultuous years. Source: Lumunon et al. (1969: 1). 22In political terms, Wenas was a moderate conservative, his views—insofar as these can be reconstructed, given the circumspection incumbent on a church leader—lying somewhere inbetween Ratulangie’s and Kawilarang’s. Like most of the Minahasans still associated with the NZG in the early twentieth century, Wenas strongly supported the campaign for an independent Minahasan church. As an ecclesiastical organization, the NZG had withdrawn from Minahasa for financial reasons in the 1870s, handing over its churches to the state-sponsored Indies Church (Indische Kerk) and only retaining responsibility for its schools. Against this background, the establishment of the GMIM was widely seen as the long-delayed culmination of the Society’s work in Minahasa. But unlike the more radical NZG schoolteachers who founded the nationalist KGPM (Kerapatan Gereja Protestan Minahasa) church in 1933, Wenas rejected any involvement of Ratulangie’s Persatuan Minahasa in the process of religious emancipation, arguing that it was “not appropriate for a political organization to interfere in church affairs” (Parengkuan 1994: 75). Nevertheless, during the Japanese occupation, under the pressure of circumstances, he did actively cultivate connections with power holders sympathetic to the church and its congregations. In 1946, with equal pragmatism, he accepted a decoration from the Dutch crown, and was appointed to the Dutch-sponsored Minahasan regional assembly (Lintong 1978: 56). After the estab-lishment of republican authority in Minahasa in 1950, he became quite supportive of president Sukarno, while at the same time expressing firm opposition to the PKI, which for its part portrayed the GMIM as a colonial anachronism dependent on “capitalists and imperialists” (Parengkuan 1994: 137). 23Wenas was an effective organizer and leader, who safeguarded and indeed strengthened the unity and vitality of the GMIM, then as now Minahasa’s biggest and most important organization, through very difficult times. One of his achievements was to make the church financially self-supporting, and no longer dependent on foreign support as the PKI alleged. Although he seldom made a decision hastily and usually based it on sound advice, Wenas had an authoritarian streak that was at odds with his own democratic vision of how a church should ideally be organized, but which enabled him to take full advantage of the tight, hierarchical command structure inherited by the GMIM from its colonial and bureaucratic past. Some referred to him as “Minahasa’s pope” (Lintong 1978: 106). Partly a product of the strict ethical tradition of the Protestant mission in Minahasa, he was dedicated, disciplined, and prone to anger at priests who failed to live up to his standards. He also possessed what one colleague described as “a very strong historical awareness and an ability to draw profound lessons from history” (Lumunon et al. 1969: 38). 24One continuity of which he was certainly aware in the history of Minahasa was the role of church leaders in reconciling enemies and creating peace. In the nineteenth century, the pioneer NZG missionaries had seen the burial of tribal conflicts and hatreds as an important gauge of Christianity’s progress in Minahasa. One of them, J.F. Riedel, is said to have risked his life on one occasion by coming between warriors from rival groups in order to prevent a skirmish (Grundemann 1873: 230). During the Permesta conflict, Wenas, too, played a widely acknowledged role as peacemaker. Throughout the revolt, he and his GMIM colleagues constantly urged both sides in sermons, letters, print media, and radio broadcasts to lay down their arms and negotiate a peaceful solution. In October 1959, he met in person with Kawilarang to explore ways to end the conflict (Lumunon et al. 1969: 73). In January 1960, he conveyed a letter containing specific peace proposals from president Sukarno, who had been Wenas’ guest in Tomohon during a state visit less than three years earlier, to Warouw and his staff at Remboken (Harvey 1977: 129). For the ceremony by which peace was eventually made (on relatively generous terms for the surrendering rebels) at the village of Woloan in April 1961, the GMIM provided the meeting hall and the food and drink. In a commemorative volume compiled by the church soon after his death, Wenas is praised with justification as a leader who was “always ready to restore broken relationships and heal the wounds created by war” (Lumunon et al. 1969: 3, 39). 25The burial of tribal feuds, for the NZG, had formed part of a broader project aimed at generating a lasting sense of unity among all Minahasans. The ultimate goal was a united Christian community in which, in the words of the most influential NZG missionary, “all divisions and feuds shall be dissolved into one brotherhood” (Graafland 1898, I: 326). This ideal, too, Wenas kept very much alive. When the GMIM was founded in 1934, it was he who argued successfully that the new church should be called the Minahasan Evangelical Protestant Church, implying an ethnic church in which community was closely linked with identity, and not the more neutral Gereja Masehi Injili di Minahasa, Evangelical Protestant Church in Minahasa, as proposed by his Dutch superior, E.A.A. de Vreede. After independence, Wenas continued to talk frequently of tanah dan bangsa Minahasa (Minahasan land and people) on public occasions, sometimes to the embarrassment of contemporaries who found such expressions of regional patriotism myopic and anachronistic now that the Indonesian nation was the only officially recognized bangsa (Lintong 1978: 29, 75, 100-101). 26Nevertheless, on Wenas’ part, that patriotism was deep and genuine. At the height of the Permesta conflict in 1959, he was appointed by Sukarno to the Supreme Advisory Council (DPA) in Jakarta, but for ethical and personal reasons he refused to leave Minahasa. In his reply to the president, he wrote that at a time when “our Minahasan land”—a phrase that occurs repeatedly in the letter—was “in a situation of terrible suffering” and “facing disaster and destruction,” it was better for him to remain there and devote himself to restoring peace between the opposing parties in the conflict. In an open letter of 15 February 1960, he called on “prominent Minahasans and Minahasan church figures in Jakarta” to help “put an end to the conflict in our land, which we love, the land of Minahasa” (Lumunon et al. 1969: 68, 78-79). 28If we look only backwards in time from Permesta, it is easy to conclude that what doomed the revolt was that, whereas its leaders imagined that their own deep concerns with regional autonomy, social stability, and export-oriented economic development were widely shared in Indonesia, in fact they were largely the product of Minahasa’s highly exceptional colonial experience. In other regions, for equally historical reasons, political leaders were more concerned with national unity, the redistribution of wealth, and social reform, if not revolution, and had little sympathy for the aspirations of what they saw as a rich and privileged ethnic minority in Minahasa. Once Permesta came under military attack, to make matters worse, older and more sinister Minahasan traditions rooted in the area’s pre-Christian past also came to the fore in its political life: a concern with personal power, prestige, and rivalry above the common good, and an amoral admiration for successful trickery (Schefold 1995, Schouten 1995). In the end, it was not the waning of popular support, nor even the success of the central government troops, which sealed the fate of the rebellion, but rather “the fatal splits which developed among the Permesta officers” (Harvey 1977: 122). 29If, however, we look forward in time from Permesta to the New Order and beyond, then its concerns appear much less exceptional. On the basis of its opposition to communism and its emphasis (in both ideology and practice) on economic development (pembangunan), Permesta was often portrayed during the Suharto years as a kind of premonition of the New Order (Leirissa 1991, Tobing 1988). With its partly military leadership, its five-year development plan, its agricultural extension program, and its energetic improvements to road and harbor infrastructure, the Permesta government that briefly held power in North Sulawesi before the central government forces arrived did indeed resemble its later New Order counterpart, even in detail—although it is not likely that many New Order bupati ever joined road-building gangs and slept alongside them on the grass verge, as bupati of Minahasa Laurens Saerang apparently did in 1957 (Parengkuan 1994: 203). Under the New Order, the province of North Sulawesi did not, as the Permesta Charter had demanded, gain exclusive control over 70 percent of its fiscal revenues (Harvey 1977: 165). But the balance of financial flows between it and the national governments was consistently in its favor, so that like most other provinces it was now being subsidized by taxpayers elsewhere, rather than vice versa. And although the BPPC (Badan Penyanggah dan Pemasaran Cengkeh), a monopolistic clove buying and marketing body created in 1991 and connected with Tommy Suharto, resembled the old Copra Foundation and caused much discontent among clove producers, on the whole the terms of trade were favorable to Minahasan farmers. 31Yet, despite the upsurge of regionalism and the presence of a large Muslim minority in North Sulawesi, the end of political repression has led neither to serious calls for secession, nor to outbursts of the ethnic and religious violence that has blemished the Reformasi period elsewhere in Indonesia (Henley, Schouten, & Ulaen, forthcoming). Besides ethnic solidarity, gradualism and pragmatism, too, remain characteristic features of political life in Minahasa. The former New Order state party Golkar is still strong, and Permesta stands engraved in the collective memory not only as a brave choice made by Minahasans at a time when others in Indonesia were not yet ready for it, but also as a warning—trauma Permesta, the Permesta trauma—of the dangers of resorting to force in pursuit of political goals. Combined with the strong civil society underpinned by its churches and other non-state organizations, the conservative and pragmatic traditions that ironically helped plunge Minahasa into war in the 1950s should now stand in good stead for the challenges of a decentralized and democratic future. It is to be hoped that in the long run Minahasa, despite its unusual past, will prove to have been in some ways an anticipation of what Indonesia can become, rather than just a historical curiosity. Graafland, N., 1898, De Minahassa. Haar verleden en haar tegenwoordige toestand, Batavia: Kolff, 2 vols. Groen, P., 1979, “Oprichting, functioneren en opheffing van de deelstaat Oost-Indonesië”, Doctoraalscriptie, Rijksuniversiteit Utrecht. Grundemann, R., 1873, Johann Friedrich Riedel, ein Lebensbild aus der Minahassa auf Celebes, Gutersloh: Bertelsmann. Harvey, B.S., 1977, Permesta: Half a Rebellion, Ithaca, New York: Cornell University, Modern Indonesia Project, Southeast Asia Program, Monograph Series, No. 54.
Henley, David, 1996, Nationalism and Regionalism in a Colonial Context; Minahasa in the Dutch East Indies, Leiden: KITLV Press, Verhandelingen KITLV, No. 168.
Henley, David, Maria J.C. Schouten, & Alex J. Ulaen, 2007, “Preserving the peace in post-New Order Minahasa,” in Renegotiating Boundaries: Local Politics in Post-Suharto Indonesia, Gerry van Klinken & Henk Schulte Nordholt (eds), Leiden: KITLV Press. Herziening, 1929, “Herziening van het kiesrecht voor den Minahassaraad,” Locale Belangen, 16: 880-886. Indonesia merdeka, , Indonesia merdeka. Sekedar sumbangsih kami, Jakarta: Badan Kontak Wanita K.R.I.S. Klinken, Gerry van, 2003, Minorities, Modernity and the Indonesian Nation. Christians in Indonesia, a Biographical Approach, Leiden: KITLV Press, Verhandelingen KITLV, No. 199. Leirissa, R.Z., 1991, PRRI Permesta. Strategi membangun Indonesia tanpa komunis, Jakarta: Pustaka Utama Grafiti. Leirissa, R.Z., 1997, Minahasa di awal Perang Kemerdekaan Indonesia. Peristiwa Merah-Putih dan sebab-musababnya, Jakarta: Pustaka Sinar Harapan & Yayasan Malesung Rondor. Lintong, D.M., 1978, “Ds. A.Z.R. 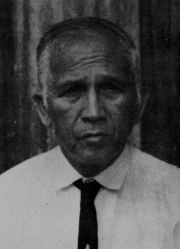 Wenas Ketua Sinode GMIM (1942-1967). Satu bab dari sejarah Gereja Masehi Injili Minahasa”, Thesis ujian Sarjana Theologia, Fakultas Theologia Universitas Kristen Indonesia, Tomohon. Lumunon, D., et al., 1969, Ds A.Z.R. Wenas (1897-1967). Pelajan geredja di Minahasa, Tomohon: Redaksi Bulletin Dewan Gereja-gereja Sullutteng. Lundström-Burghoorn, W., 1981, Minahasa Civilization: a Tradition of Change, Gothenburg: Acta Universitatis Gothoburgensis. Matindas, B.E., & Bert Supit, 1998, Ventje Sumual: Pemimpin yang menatap hanya ke depan, Jakarta: Bina Insani. Parengkuan, Arnold Fr., 1994, “Kehadiran, tempat dan peran Gereja Masehi Injili Minahasa (GMIM) di tengah pergumulan masyarakat Minahasa dan bangsa Indonesia antara tahun 1934-1979”, Ph.D. thesis, The South East Asia Graduate School of Theology, Jakarta. Ramadhan K.H., 1988, A.E. Kawilarang. Untuk sang Merah Putih (pengalaman 1942-1961), Jakarta: Pustaka Sinar Harapan. Rocher, Jean, 1996, “Les cadets de Bandung (1940-1945),” Archipel, 51: 67-94. Schefold, Reimar, 1995, “The heroic theft: Myth and achievement in Minahasan society,” in Minahasa past and present. Tradition and transition in an outer island region of Indonesia, R. Schefold (ed. ), Leiden: Research School CNWS, p. 22-31. Schouten, Mieke, 1995, “Wa’ilan and bos: status seeking in Minahasa,” in Minahasa past and present. Tradition and transition in an outer island region of Indonesia, R. Schefold (ed. ), Leiden: Research School CNWS, p. 7-21. Schouten, Mieke, 1998, Leadership and Social Mobility in a Southeast Asian Society. Minahasa, 1677-1983, Leiden: KITLV Press, Verhandelingen KITLV, No. 179. Sulu, Phill M., 1997, Permesta. Jejak-jejak pengembaraan, Jakarta: Pustaka Sinar Harapan. Tobing, K.M.L., 1988, Permesta. Kandasnya sebuah cita-cita, Jakarta: Sarunjaya. Torar, Jan, 1985, Peranan Minahasa dalam Perang Kemerdekaan, Jakarta: Pelita Buana. Warouw, Jozef, et al., 1999, KRIS 45. Berjuang membela negara. Sebuah refleksi perjuangan revolusi KRIS (Kebaktian Rakyat Indonesia Sulawesi), Jakarta: Pustaka Sinar Harapan. David Henley, « The Fate of Federalism: North Sulawesi from Persatuan Minahasa to Permesta », Moussons, 11 | 2007, 89-105.